THURSDAY TEAS ARE BACK TONIGHT! Bar open from 6pm, team selections and footy on the big screen! 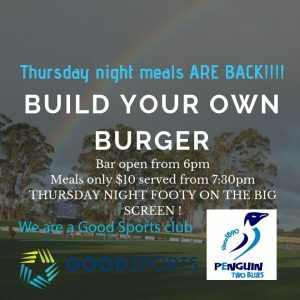 After a year in hiatus, Doggsy Windram’s famous Thursday night RAFFLE will return for 2019!